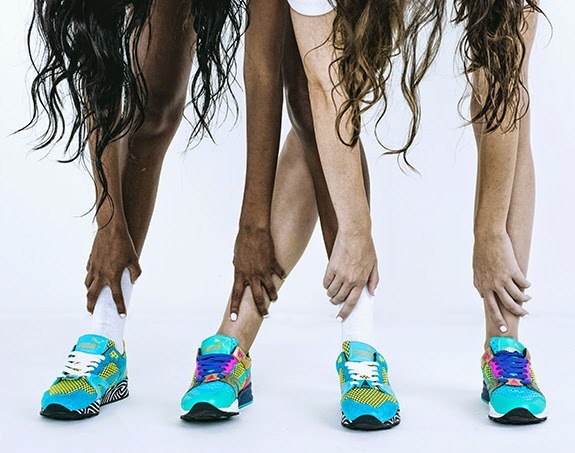 PUMA releases its second collection of footwear under the creative direction of Solange. Building off of the success of the Girls of Blaze collection which launched in February, Solange has enlisted the original designers to re-interpret PUMA's seasonal themes of "Wild Rebel" and "Natural Calm." The first drop from the collection entitled Wild Wonders featuring three styles will release on November 28th and the second, Behind the Bazaar featuring two styles will release on December 13, just in time for the Holiday season. This collection is centered around two iconic styles for PUMA, the classic PUMA Suede and the XT2, which is a much loved favorite from the Trinomic Family. Each designer approached these silhouettes in their own way and brought in graphics, a mix of materials and colors or natural fabrics to create these soon to be favorites.